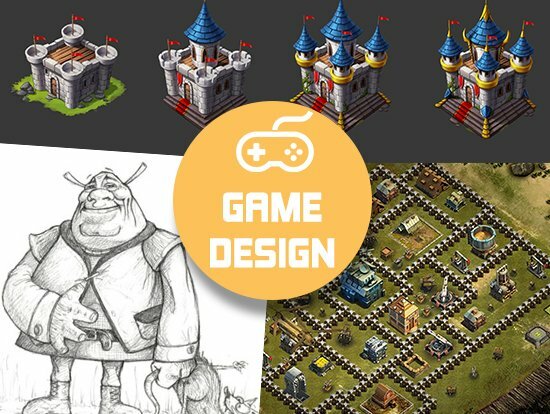 Home Art & Design How not to mess up with game design? There are highly engaging games which one just can’t get over with and then there are games which are not even worth trying. For one good game that has topped the charts, there are dozens which have failed miserably and it is good to know what separates the good from the bust. One of the critical aspects involved is a game design which can’t be overlooked or taken lightly. The design is as important as development and while it is easy to design a game it is extremely difficult to do it well. Having said that let’s take a stroll into aspects which the game designers should be extremely careful about. Asset flipping and direct clones are something which a good game designer should not even consider. It essentially means that you are copying all the game elements from some other game and modifying it just to make it look unique. These have rarely succeeded and often cheat gamers into buying them. The whole point of developing a game is that you should be able to deliver a unique experience to anyone who is playing it. One can, however, replicate an existing game design such that it can’t be called as a copy by the original game owners. Game designers have to self-regulated and refrain themselves from following such unethical practices. Besides they have a very low chance of success and even if they do will eventually end up in lawsuits. There were games which were poorly designed but were aggressively marketed with a lot of PR and promotions. Such games sunk along with their studios as well. Popular among them are X-men destiny, Godus, Dead Space 3 and so on. Hence, competent game studios follow the ‘Style with substance’ motto where besides doing good marketing they are well grounded in the game design as well. While designing a game there just isn’t a time when you can’t improve. This is the particular reason why a designer has to submit his game for a lot of peer reviews. It doesn’t matter whether the total gameplay is 2 hours, 30 hours or 80 hours it is imperative that we allow others to review our design. Issues like UI, UX, gameplay complaints can be spotted within minutes of gameplay. Some aspect may seem to agree to us but may seem inappropriate to others. If a considerable number of your peers don’t agree with the design then it is best to scrap it off and redo it. Assume a customer is crazy for apples. If you give him fresh, luscious oranges then he just won’t take it. Similarly, it doesn’t matter how perfect the game design and development is; if one doesn’t follow market standards then the title will definitely tilt down. Personally, I crave for a well-knit RTS game and no matter how well FPS games are done I wouldn’t be willing to buy it. Another big blunder the designers make is that they become so myopic that they won’t even consider the trends in the game world outside of their circle. One of the bitter truths to internalize is that game that the designer wants to make just won’t succeed. The importance of having a good video quality in the games you design is implicit. But most don’t talk or realize the importance of having a good music playback in the game which makes gameplay that much agreeing to the users. More than including good music the game designer has to ensure that the music is in line with the gameplay. Just imagine how inappropriate it would be to listen to flowery music in a horror, high-action game. The pitch of the music can be increased as the level progresses. An epic boss battle can be accompanied with a simulating music which arouses the player to do his best in the battle. Just remember the good old Mario game in the 90s with a pleasant music. You might also have noticed that the music would chance when the time would be running out. This quickens the senses of the gamers and hence music is that much important. Needless to say, the contribution of the game designers is partly related to the success of the game. Besides designers, there is a lot of development, PR, research, art, marketing and promotions which is also responsible for a game to top the charts. But the designing is one critical aspect which a studio can’t afford to make mistakes on. It is often very difficult to knit all the processes of game development as only a handful of studios are capable to do that effectively. Keeping this in regard it is better to outsource game development to such a company. Juego Studio pioneers in developing such games and we think that is the reason why we have a high rate of repeat clients as well as renowned recognition to our games. You just need to convey your requirements to us and we’ll develop an out-of-the-box addictive game for you.